The DC Jazz Festival presents an all-star evening that recognizes Professor Fred Irby and Dr. Art Dawkins, the “fathers” of jazz education at Howard University, with performances by NEA Jazz Master Benny Golson, gospel master Richard Smallwood, Greg Osby, Loston Harris, Tim Warfield, Cyrus Chestnut, Mark Batson, Paul Carr, Afro Blue, Carroll Dashiell, Shelton Becton, Kris Funn, Savannah Harris, and others. “A thrilling young trumpeter and astute bandleader [with a] unique spark in his playing” (The New Yorker), jazz trumpeter Ambrose Akinmusire performs the world premiere of a Kennedy Center- commissioned work centered on the theme of “family.” The piece features Sam Harris, piano, Harish Raghavan, bass, andJustin Brown, drums, with vocalist Cécile McLorin Salvant and the OSSO Quartet (Monica Davis, violin, Brooke Quiggins Saulnier, violin, Gillian Gallagher, viola, Maria Jeffers, cello), pushing Akinmusire’s compositional pen to new terrain. 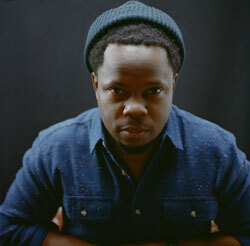 A Blue Note recording artist and 2007 winner of the Thelonious Monk International Trumpet Competition, Akinmusire returns following his Kennedy Center debut in 2009. 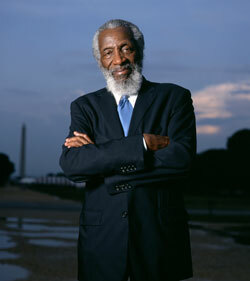 This comedy legend headlines a special evening of comedy and jazz. At venues such as New York City’s Village Gate in the 1960s, comedians and jazz musicians shared the same stage. Paying homage to this era, the evening will highlight a common thread shared by both genres: the artist’s unique ability as a storyteller. Both comedians and jazz musicians carefully craft their performances, building up to a punchline or the climax of a song to provoke audience reaction. Gregory is joined by pianist Joe Alterman, bassist Nathaniel Schroeder, and drummer Justin Chesarek. Recommended for mature audiences. Part of the Kennedy Center’s District of Comedy Festival. *No handling fees offer valid on all remaining seats for the performances of the DC Jazz Festival on Monday, 6/13 at 8 p.m and Ambrose Akinmusire on Tuesday, 6/21 at 7 p.m. Offer subject to availability. Not valid in combination with any other offer. Not valid on previously purchased tickets. Offer may be withdrawn at any time without notice. Capital One® is the presenting sponsor of the District of Comedy Festival.